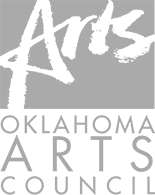 Peter Stafford Wilson returns to Tulsa for his seventh season as the Tulsa Ballet’s Principal Conductor, where he will lead performances of Dracula, Sleeping Beauty, Tchaikovsky, The Man Behind the Music, and The Nutcracker. A native of North Carolina, Peter studied at the University of Cincinnati’s College-Conservatory of Music, where his primary mentor was the late Thomas Schippers. Mr. Wilson also studied at the Aspen Music School, where he studied with Dennis Russell Davies, Eastern Music Festival (on whose faculty he subsequently served), Pierre Monteux School, Boris Goldovsky Summer Opera Institute and Rome’s Accademia Nazionale di Santa Cecilia, where he was associated with Franco Ferrara. Peter is now in his seventeenth season as Music Director of Ohio’s Springfield Symphony Orchestra where he recently was awarded a League of American Orchestras/ASCAP Award for Adventuresome Programming. He also continues his commitment to the Westerville Symphony at Otterbein University as Music Director, and will make his debut conducting the Pennsylvania Ballet’s production of Angel Corella’s setting of Giselle. He also returns with BalletMet/Columbus to conduct the Michigan Opera Theater Orchestra at The Detroit Opera House. After his advanced studies, he was appointed Assistant, and later Associate Conductor of the Canton (OH) Symphony Orchestra. The Cincinnati Symphony Orchestra appointed him Regional Pops Conductor, where he led the orchestra in a series of widely acclaimed performances in Ohio, Indiana and Kentucky. In 1990, he joined the staff of the Columbus Symphony where he has appeared regularly on all subscription and outreach series. Wilson recently concluded his 28-year tenure with the CSO and became the third recipient of the George Hardesty Award for Outstanding Leadership of the CSO. The League of American Orchestras featured him in its Conductor Preview event, a program that encourages emerging conducting talents in the United States. He also maintained a longtime association with The Cleveland Orchestra, where he served as cover conductor for concerts at Severance Hall and the Blossom Music Center. 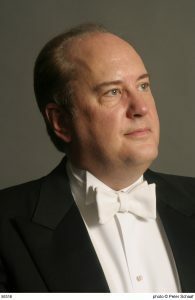 He has recently guest conducted the orchestras of Indianapolis, Detroit, Seattle, Syracuse, Erie, Hong Kong, Montevideo, Shenzhen, and has appeared at the Chautauqua Institute. Wilson has twice appeared at New York’s iconic Carnegie Hall, conducting the Columbus Symphony Youth Orchestra to great acclaim. His dedication to young musicians and audiences resulted in the Greater Columbus Arts Council bestowing its Educator of the Year award in 2018.